Voluntary repatriation is now the predominant solution to refugee crises, yet the responsibilities states of origin bear towards their repatriating citizens are under-examined. Through a combination of legal and moral analysis, and case studies of the troubled repatriation movements to Guatemala, Bosnia and Mozambique, Megan Bradley develops and refines an original account of the minimum conditions of a 'just return' process. The goal of a just return process must be to recast a new relationship of rights and duties between the state and its returning citizens, and the conditions of just return match the core duties states should provide for all their citizens: equal, effective protection for security and basic human rights, including accountability for violations of these rights. 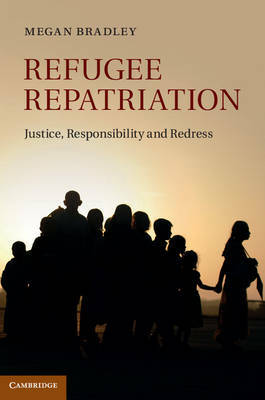 This volume evaluates the ways in which different forms of redress such as restitution and compensation may help enable just returns, and traces the emergence and evolution of international norms on redress for refugees.